In 1964, following Simon and Garfunkel’s ill-received debut album Wednesday Morning, 3 AM, Paul Simon left the Unites States for London. During this period, Simon recorded The Paul Simon Songbook; a collection of new songs, recorded with just his vocal and acoustic guitar. 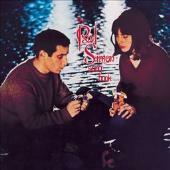 Over the next few years, the majority of these songs would be re-arranged and re-recorded as Simon and Garfunkel releases, but here, in their original form, we are allowed an insight to the pure song-writing talent of Paul Simon, aged 24. And what a talent it is. I should say at this point that I am a huge Simon and Garfunkel fan, and maintain that the best Ten Pounds I ever spent was on their box set (all four studio albums, plus DVD). Bearing this in mind, it’s fair to assume that this review may be slightly biased. And yet I don’t care: this album is magnificent. Hearing some of my all-time favourite songs sung by the man who wrote them, accompanied only by his acoustic guitar is a complete and utter joy. The melodies are exquisite; the lyrics powerful, meaningful, and expertly crafted; and Simon’s voice and guitar act as perfect vehicles for these extraordinary songs. I defy anyone to listen to The Sound Of Silence and not feel a shiver run down their back. Despite all my (worthy) praise, however, this album is not without its little faults. Although some songs flourish from the simplicity of the arrangements, on occasion, I do find myself pining for Garfunkel’s harmony (particularly on He Was My Brother, and Flowers Never Bend With The Rainfall), and the strange tempo changes during A Most Peculiar Man make it much less enjoyable than the studio version. If you want a masterclass in song-writing, it’s right here.